1974 born Liu Fang in the Chinese province of Yunnan and she began playing the stringed instrument pipa at the age of six. When she was nine years old, she held her first solo performance and by eleven, she performed for Queen Elizabeth II. Since then she left China to Canada and nowadays resides in Montreal. Pipa is an instrument that has been played in China for almost 2000 years. There have been many masterful pipa players, but it is difficult to overstate the skill with which Liu Fang presents her Chinese lyre. She is often called a true virtuoso and has been named “the empress of pipa” by reviewers. 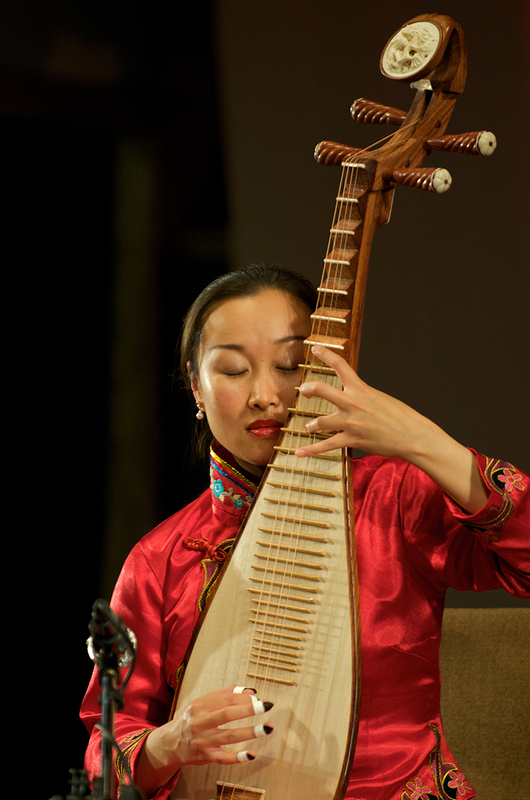 Those big words are eminently justified when it comes to her, and they apply to her performance on both the pipe and the Chinese guzheng zither – with impressive technique and elegance. During her career, Liu Fang has toured tirelessly. Live she often plays a mix of classical Chinese works and newly composed western music.